American Airlines has confirmed that the integration of AAdvantage and Dividend Miles will begin, though the process could take several days. Tomorrow (3/25/15) is the last day you can book US Airways Dividend Miles awards. The reliable rumor is that American Airlines and US Airways plan to combine their mileage programs on March 28, which is this Saturday. US Airways and American Airlines legally merged in December 2013. They announced in October 2014 that the AAdvantage and Dividend Miles programs would combine in the second quarter (April 1 to June 30) of 2015. They announced a few weeks ago that the integration would happen within a month. Now the word is that the programs plan to combine March 28, though that could be backed up if there are problems with the combination. The most recent word from the Traveling Better forum features input from JonNYC, a legendary source of inside info on American Airlines. When he talks about what American Airlines is about to do or what its computers say a routing rule is, I believe him. The date of “single frequent flier program” is…March 28. Listed as a target date, so I’d imagine could change, but that’s the date being aimed for. 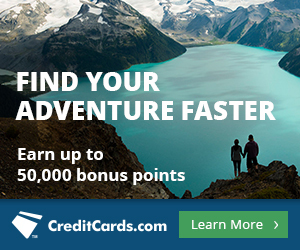 Get the US Airways card before it disappears to get its 50,000 mile bonus. I was approved for the Barclay’s card on Friday but haven’t received it in the mail yet….they said it could take 2 weeks. Will the 50k bonus miles, companion certificates, and all of that still be honored or did I just get a line of credit added to my report for nothing? You will get your miles one way or another. The companion certs I’m not so sure. What will happen to our unused us airways companion passes? I think it disappears. I’m not 100% sure. 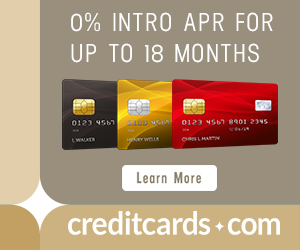 Scott, is there any precedent that you know of in an airline’s credit card company honoring the miles bonus for existing clients when a credit card is replaced by the new parent airline? For example, if one has a US Airways Mastercard that will be replaced with an American Airlines Aviator credit card. If one were to cancel the US Airways Mastercard at the end of this month and then apply for an American Airlines credit card as a “new” client, he/she would be eligible for the 50,000 miles bonus (if $3k is spent in 3 months). It would be nice if Citi would let one avoid that hassle and earn the miles bonus on the new American Airlines Aviator card by spending the same amount in the same time period. That American Aviator card will NOT be serviced by Citi, so Citi will not be giving out any miles on its spending. The AA Aviator cards will be serviced by Barclaycard. Existing US Airways cards will become Aviator cards. No one new can apply for an AA Aviator card.